So much more than a case, this Mivizu Sense cover folio was design to enhanced your iPad 2. 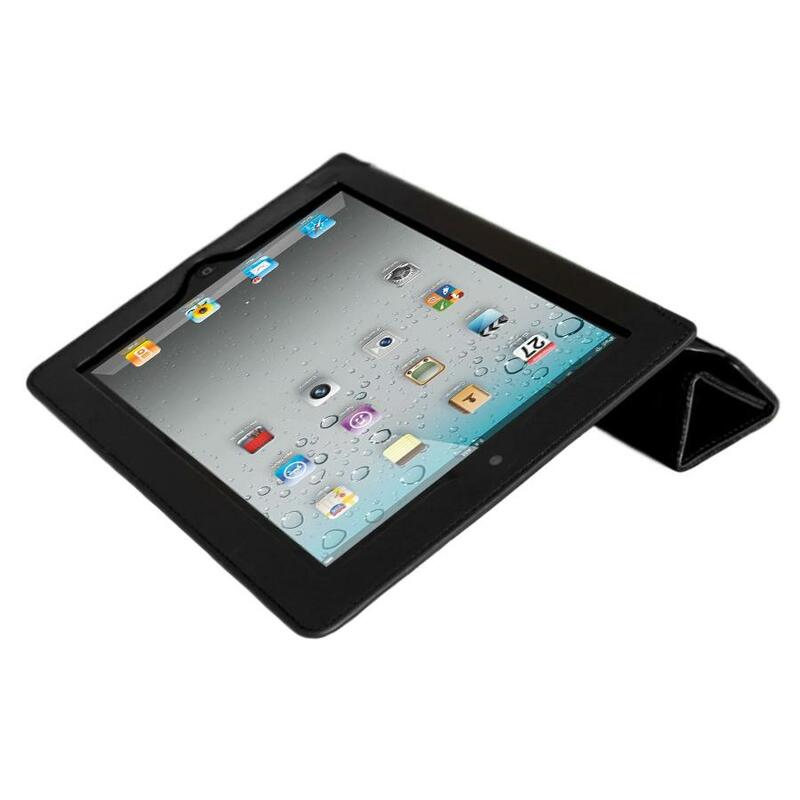 This case is a thin, durable cover that magnetically aligns to your Apple iPad 2 for a perfect fit. I definitely feel like my iPad is well protected, and it certainly beats the price of an Apple smart cover. I haven't broken it in yet so the cover has to be worked sometimes to fit correctly, but it is pretty good quality and sleeps and wakes the iPad as promised. This is the best of both worlds. You get the iPad2 smart cover with a portfolio full cover for the whole unit! Awesome. This is a good cover if looking for one similar to the smartcover by apple. It does have a nice cushioned back which gives it some support. Not as flexible as the smart cover, but it does what it should. This product is all I hoped it would be. Fits my iPad 2 perfectly. The leather is good quality and very soft. Very professional look. I love that it adds back protection unlike the Smart Cover. I plan on purchasing this product in alternate colors as well. Not worth the cost. Have had it only a week, and do not think this will last very long. Very nice case...just one minor gripe. I bought this case after my Apple smartcover seriously damaged the side of my iPad2, where the magnets attached the cover to the iPad. Apple generously replaced the iPad and the cover, but I wanted something that would provide side/back protection for the device. The Apple smart covers do not protect the back. This cover does. It's very nice/soft leather, fully protects the iPad, and the magnetic closure shuts off the iPad when it's not in use. A great deal at this price. The front folds back much the same as the Apple smart cover, so the device can be propped up for typing or stood up on your desk. The only flaw that kept me from giving 5-stars is that sometimes, when the cover is open and tucked around back, the magnets shut off the screen. That didn't happen with the Apple cover, but does happen with the Mivizu. To fix it, I fold the cover once in on itself.